The Renegade Craft Fair was not what I expected. 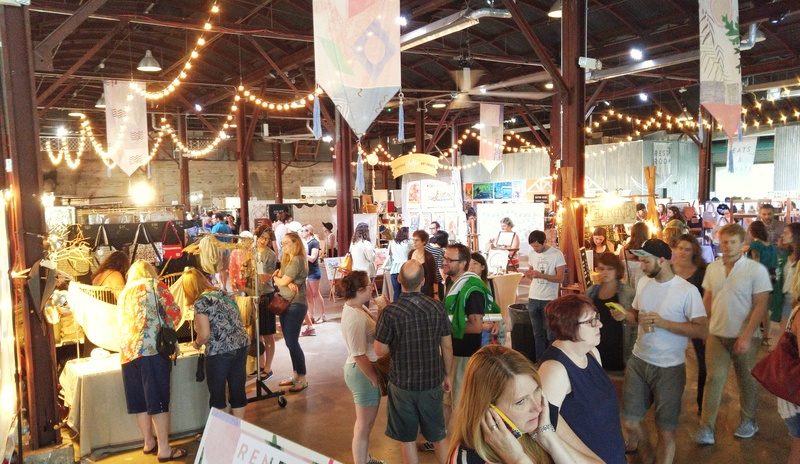 It’s not your mamma’s craft fair. This maker event was chic and on trend. Think Etsy on steroids, only in person. Not in Austin? Never fear, they may be in a big city near you. 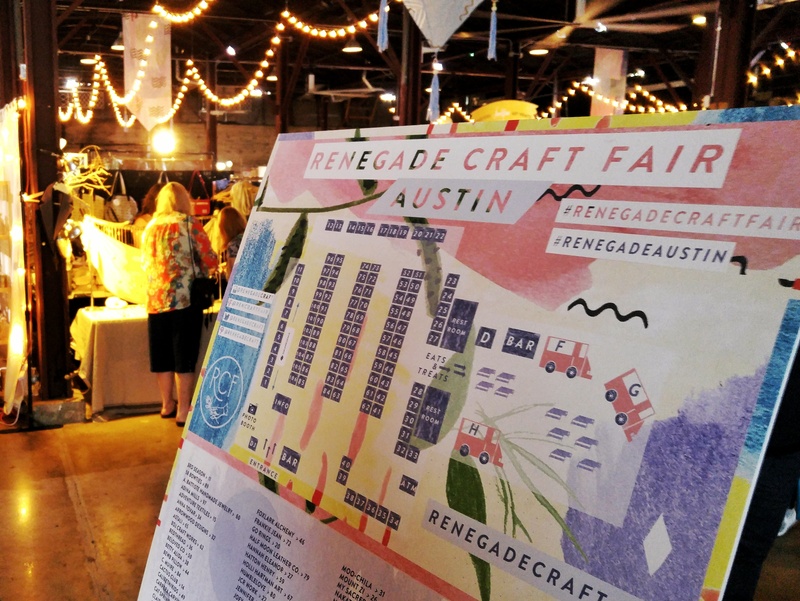 Renegade Craft Fair is in Denver, Portland, Seattle, San Francisco, Los Angeles, New York, Chicago and London. On this recent rainy Saturday I made my way to the eclectic Fair Market in East Austin, this was my first time to the indie extravaganza. After I parked I could hear the live music down the street so I knew I was in the right place. With more than 125 artisans represented on site everything was handcrafted and most artisans were from the Austin area. I love giving gifts that you won’t find in a department store but that are locally made. The venue was lowly lit with glowing white lights and pastel colors. Rows of booths and creative displays put the spotlight on unique finds like screen printed baby onesies, leather bags, designed greeting cards, clothing + accessories and even Yaupon tea. As I walked the first row of vendors, immediately these gorgeous city icon prints caught my eye from Flower and Vine. What I love the most is this custom floral letter print. I’ve got to get one for the BBT world headquarters a.k.a. the blog office. The most unique item I thought was hand carved skate boards by Carrera Carving Co. Made from wood they are absolutely beautiful, and I’m sure they rolled just as smooth as the lines in the wood. And who doesn’t love the smell of fresh baked bread? If that doesn’t strike your fancy, how about Tree Hugger, Bossy Pants, GrandPa and Crazy Cat Lady? 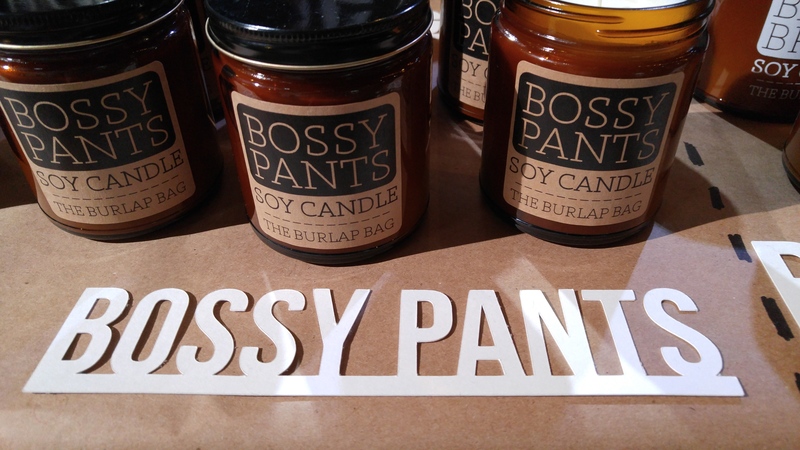 These are scents of soy candles by the husband and wife team that are The Burlap Bag. They make these fun scented candles right here in Austin. No event in this Texas city would be complete without food trucks. Let me just say the Waylon & Willie grilled cheese I had from Burro Cheese Kitchen. It was the most incredible thing I’ve ever eaten. As if the grilled cheese with aged cheddar, gouda, pepperoncini, and spicy maple bacon sauce wasn’t scrumptious enough, I couldn’t get enough of the greeting cards by Stationery Bakery of Austin. I promise you’ll want more than one. Hand crafted jewelry was abundant each craftsman (woman) unique in their own style. A stand out was Ferro and Fawn. Got style? Get some Ferro and Fawn! 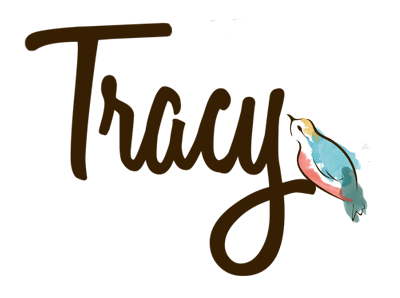 If you’re looking to find a unique gift that may offer a taste of home or a touch of novelty this where you’ll find it. 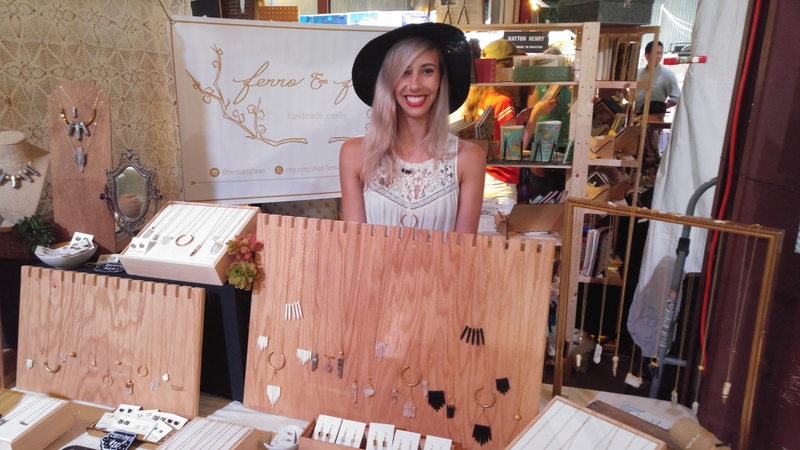 I loved the Renegade Craft Fair because it brought together makers who have a trade passion turned business, doing what they love, producing a quality product while making a livelihood at it. Clearly the organizers carefully cull the artisans, taking care to ensure that many are locally sourced. 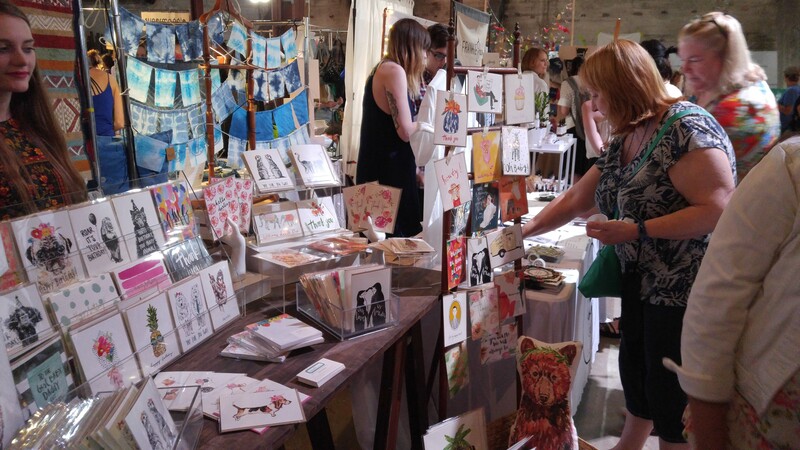 RCF boasts it’s the largest independent craft fair in the world and I can see why. You can see more about their relationships with the vendors and their stories on their blog. I’m excited for the November fair to do some Christmas shopping. In the mean time I’ll do some more shopping on line right here. Check out your nearest RCF for the highest quality handmade goods. You’ll love them in your life and your gift recipients will too!